May 17, 1969, Kyiv, Ukraine. Systematics, phylogeny and biology of animal-parasitic nematodes. Biology, morphology, molecular phylogeny and ecology of the nematodes from the family Rhabdiasidae. Morphology, systematics and biology of Filarioidea (Nematoda). Nematodes of the family Rhabdiasidae from Eastern Amazonia. Helminth communities of amphibians and reptiles. 1993 - Diploma of the Biological Department of Kyiv State University (highest honors). 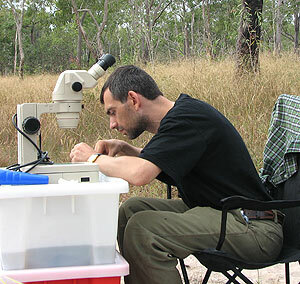 Biologist, zoologist, specialist in invertebrates. 1993-1996 - Postgraduate course, Institute of Zoology of the Ukrainian National Academy of Sciences, Kyiv. 1996 - Degree of Candidate of Biological Sciences (equivalent of Ph.D.), Institute of Zoology of the Ukrainian National Academy of Sciences, Kyiv. Dissertation entitled "Nematodes of the family Rhabdiasidae of the Palaearctic region" was defended on the 24-th of December, 1996. 2014 - Degree of Doctor of Biological Sciences. 1993 - 1996 - postgraduate student, Institute of Zoology of the Ukrainian National Academy of Sciences, Kyiv. 1996 - 2002 - junior researcher at Department of Parasitology, Institute of Zoology of the Ukrainian National Academy of Sciences, Kyiv. 2002 - 2009 - researcher at Department of Parasitology, Institute of Zoology of the Ukrainian National Academy of Sciences, Kyiv. 2009 - 2012 - senior researcher at Department of Parasitology, Institute of Zoology of the Ukrainian National Academy of Sciences, Kyiv. 2012 - present time - leading researcher at Department of Parasitology, Institute of Zoology of the Ukrainian National Academy of Sciences, Kyiv. President of Ukraine Scholarship for young scientists, years 1998-2000 and 2000-2002. 1998 (two weeks) - Central Laboratory of General Ecology, Sofia, Bulgaria. Work on joint project. Host: Dr. V. Biserkov. 1999 (four weeks) - W. Stefanski Institute of Parasitology, Warsaw, Poland. Study of TEM and SEM methods and their application to investigation of helminths. Host: Professor Z.P. Swiderski. 2000 (two months) - National Museum of Natural History, Paris, France. Study of collection material. Host: Dr. M.-C. Durette-Desset. 2004 (four weeks) - University of North Dakota, Grand Forks, USA. Molecular studies of helminths. Hosts: Dr. Robert Newman, Dr. Vasyl Tkach. 2005 (two weeks) - W. Stefanski Institute of Parasitology, Warsaw, Poland. TEM of dilepidid cestodes' larvae. Host: Professor Z.P. Swiderski. 2007 (five weeks) - University of North Dakota, Grand Forks, USA. 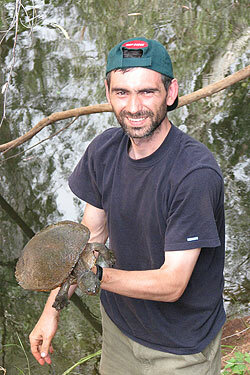 Identification of nematodes from Australian turtles. Host: Dr. Vasyl Tkach. 2014, 2015, 2016 (two months each year) - Federal University of Pará (UFPA), Belém, Brazil. Joint studies on Rhabdiasidae from amphibians and reptiles in Pará (Brazil) supported by PVE-CNPq project. Host: Dr. Jeannie Nascimento dos Santos. 2019 (three weeks) - North-West University (Potchefstroom, South Africa). Field and laboratory studies on nematodes parasitic in amphibians and reptiles. Hosts: Dr. Roman Svitin, Dr. Louis H. du Preez. Referee in "Parasite", "Comparative Parasitology", "Acta Parasitologica", "Systematic Parasitology", "Zootaxa", "ZooKeys", "Journal of Parasitology", "Journal of Helminthology", etc. English (fluent), Russian (second native), Ukrainian (native).